The Shirley Links Course at the Christchurch Golf Club is a prestigious setting for hosting corporate golf or charity golf tournaments. 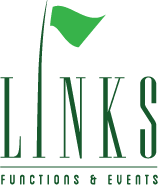 Offering a world class championship course of the highest quality, the team at Links will ensure your golf event runs smoothly and impresses your guests. We can offer tournament packages to suit groups from 40 to 120. A full range of catering options are available including pre-registration BBQ’s, packed lunches, snack platters or a specialty dinner menu to complete your prize-giving evening. Click here to see our Golf Catering options. To schedule a tournament or for more information please contact our golf administrator Rick Vincent on 03-385 9506 or email admin@christchurchgolf.co.nz.